Eliminate the time-consuming technique of drawing lines on the back of the mat. 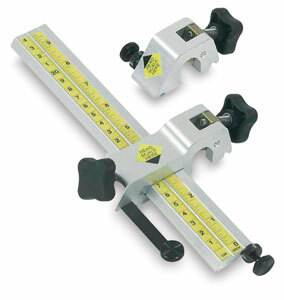 Measuring stops control overcuts and undercuts, and lessen the time required to cut multiple mats with the same dimensions. Sold separately.